We have a range of completely free webinars for school leaders, executives and board members. These webinars are aimed at equipping you for the legal challenges you may face in your work. The law webinars are available to watch on our site covering topics that were of particular interest to schools and colleges and relayed to us. The school law webinars are available at no cost to you. If you have friends or colleagues who might benefit from our webinars, please feel welcome to share this page with them. Schools with Chaplains – are they employees or independent contractors? 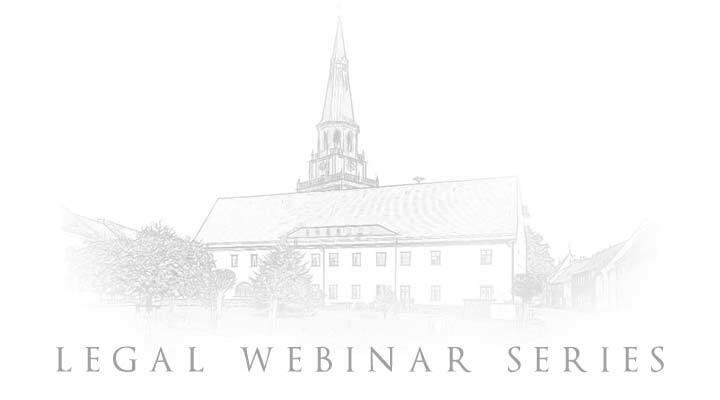 This webinar discusses the role of Chaplains; what is the best employment appointment for a Chaplain; the advantages and disadvantages of being an employee, contractor or spiritual appointment; and how such appointment will have a bearing on a Chaplain’s performance. This webinar will look at the legal implications that communications in times of conflict and crisis can have on Schools. In conflict, reference to Schools is made either directly or indirectly by disputing parents, which warrants a response. Australia’s new notifiable data breach scheme introduced significant amendments to the Privacy Act 1988 (Cth) on 22 February 2018. Part of the Scheme introduced mandatory data breach notifications, that is, a requirement by Schools to notify individuals and the Australian Information Commissioner in relation to certain data breaches. This webinar will explain how the changes will affect Schools and Colleges in the management, collecting and handling of personal information. Parents are understandably protective of their children. However, it can be the case that when a parent perceives that their children’s rights have been impinged upon, their interactions with the School can escalate. This webinar looks at how to deal with high-conflict parents, how to protect your staff from ongoing verbal and/or physical abuse and how to deal with conflict that attacks the professionalism of staff as individuals and the ramifications beyond the school gate. There is often a fine line between enforcing compliance with policies and the need to accommodate a student’s cultural and/or religious beliefs in a School environment. In this webinar, we discuss discrimination direct and indirect, how to draft uniform policies considering discrimination laws; whether Schools can rely on exemptions; tension that may exist between uniform policies and having School open enrolments. We look at steps that schools can take to recover and minimise the impact of unpaid enrolment fees, and what clauses can be introduced into the Enrolment Contract to minimise losses suffered. How to effectively document a Compromise Arrangement (which effectively is an amendment to the enrolment contract) will also be examined. In this webinar, we help schools understand who really has to pay for the enrolment fees, who needs to consent to what, who is entitled to what information, and strategies and solutions that schools can implement into both their enrolment contracts, and their interactions with parents, to maximise profit and minimise stress. This webinar examines how to effectively use some additional DGRs to fund recurrent expenditure in your school. We look at what steps a school can take to manage risk to the school when changing or ending an employee’s employment, renegotiating your EBA, and what steps can be taken to ensure that your employees and contractors are the best and safest fit for your school. Outsourcing, Contracting and Licensing – Pitfalls and Tips. We review the legal tips and pitfalls to help School Leaders negotiate and enter into agreements that will be able to protect the financial viability and the reputation of your school. In this webinar, we discuss the top legal challenges that School Leaders have faced in 2016, and what that means for the year ahead in 2017.